Though it’s hard to believe, there once was a time when workers in the Rust Belt were delighted to have their jobs—and themselves—shipped overseas. Shortly after the stock market crash of 1929, the Soviet Union purchased a bankrupt watch manufacturer in Ohio and moved the business halfway across the globe to Moscow, employees and all. The international maneuver wasn’t viewed as a competitive threat to American industry—after all, the company’s products were already outdated and the recently established Union of Soviet Socialist Republics (USSR) lacked any prior watchmaking culture. Yet within a couple of decades, the Soviets had transformed this single workshop into one of the world’s top watchmaking centers, second only to the venerable Swiss enterprise. As precise timekeeping became essential for the success of modernized economies, the Soviet government threw its weight behind watch production, steadily opening new factories and overhauling out-of-date facilities. The country’s efforts were bolstered by the Allied victory in World War II, which allowed them to pilfer surviving equipment from German factories. By the 1950s, Soviet watchmakers were turning out timepieces that were at least as accurate and durable as their Swiss counterparts, yet also more affordable, making them desirable across the Western world, in spite of the Cold War. But in the 1980s, the Soviet Union’s mechanical-watch production fizzled along with its stagnating economy, which was increasingly weighted toward military spending. In 1991, the USSR broke apart into 15 independent states, and Russia, the dominant member of the Soviet Union, never regained its status as a watchmaking leader. In fact, aside from a few obsessive collectors, the impressive quality of vintage Soviet watches has mostly been forgotten. 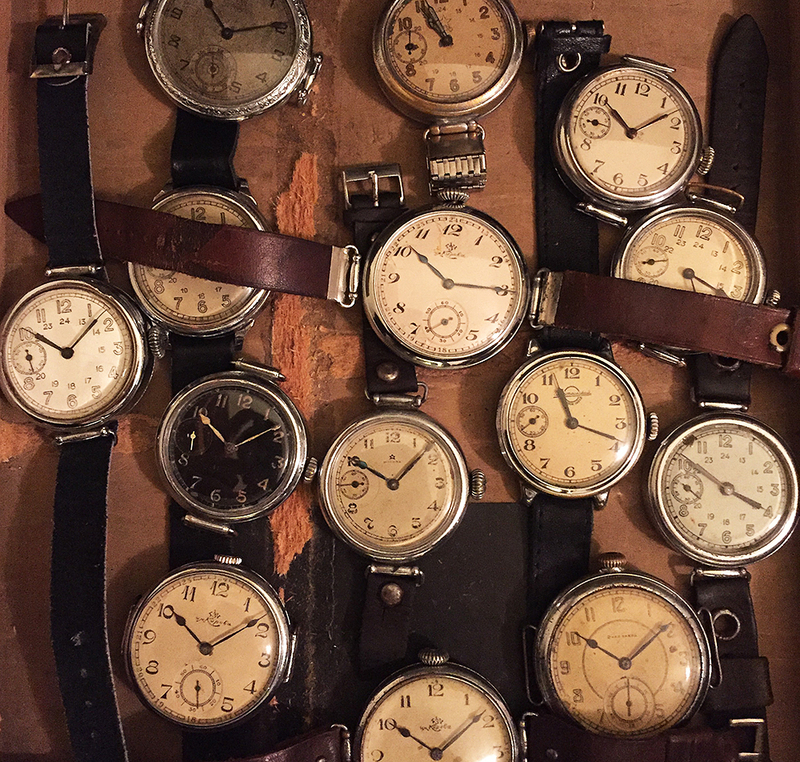 A few years ago, amateur horologist Dashiell Oatman-Stanford (who happens to be my brother) unknowingly fell down a rabbit hole into the world of Soviet watches. He has since become part of a small, tight-knit community of Soviet-watch collectors, with more than 1,000 specimens in his personal collection, which ranges from the years preceding the Soviet Union’s founding to the period just after its collapse. 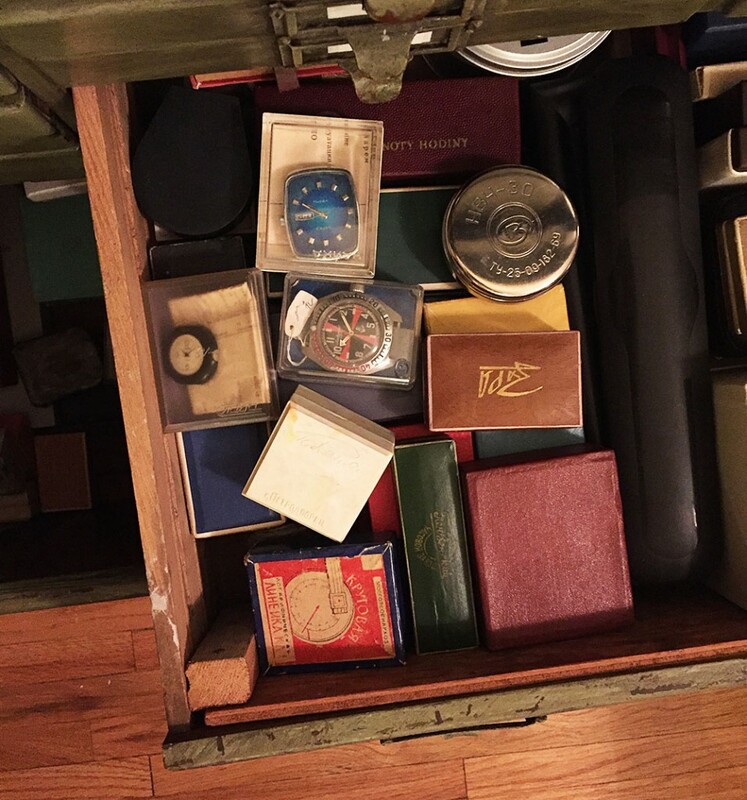 Dashiell meticulously restores and researches each of his watches, striving to learn about each product’s unique past and prior owners. I recently spoke with my brother to discuss the Soviet industry’s prowess and the lasting appeal of vintage mechanical watches. Top: A group of Type-1 Soviet watches in Dashiell Oatman-Stanford’s collection. Above: This Raketa brand watch from the 1970s has what’s known as an “easy read” dial. 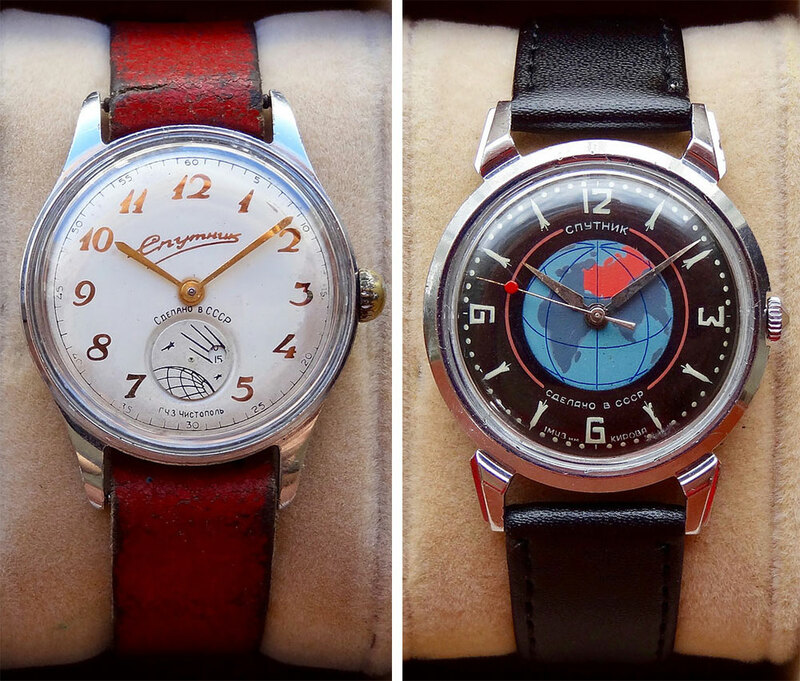 Collectors Weekly: What ignited your passion for Soviet watches? Dashiell Oatman-Stanford: As a high-school graduation present, a family friend gave me a very nice modern watch, a Tissot, that I wore for more than a decade. I started wearing it a lot in grad school because I liked the feeling of it, the presence it had, and the convenience of having the time on my wrist. For all those reasons, I began looking closer at different brands. And as anyone who starts looking into watches quickly finds, there’s a huge distinction between quartz watches—those that are battery powered, like my graduation gift—and mechanical watches, which are driven only by gears and springs and mechanics, with no electronics involved. That discovery was a pivotal moment for me, and I think that’s common for people from younger generations who grew up with quartz watches and have never laid hands on a mechanical piece: They’re seen as foreign, antiquated relics that seemingly no one uses anymore. When I discovered mechanical watches, I was fascinated and wanted to know how these pieces came together. So I went on eBay, as you do, and searched “mechanical watch” or something to that effect, and sorted the results by price. Essentially, I wanted to get my hands on one of these things as cheaply as possible. What came up were a number of Soviet watches at very low prices. I browsed through some of the cheapest options and picked a Raketa brand watch that had a dial I liked and ordered it. (Raketa means “rocket” in Russian.) I don’t remember exactly how much I paid for it, but it certainly wasn’t more than $20, delivered from Russia to my doorstep. That Raketa started it all. A drawer of new old stock (NOS) pieces in their original boxes, including the first Soviet quartz watch, the Chaika 3050, which has a blue rectangular face. A couple things struck me while examining it. The first thing I noticed is that the second hand doesn’t move in fierce ticks one at a time; it has a smooth sweep around the dial. That’s the motion of the gears slowly unwinding, unlike the discrete, one-second increments seen on a quartz watch. You can look at the wrist of anyone wearing a watch and know almost right away whether it’s a quartz or a mechanical watch, though there are exceptions. Then I popped off the back, expecting the typical interior: a battery, some metal circuitry and a plastic spacer. Instead, everything was beautifully finished—brushed metal gears, springs, and red ruby jewels. These are true rubies that are synthetically made, since rubies are extremely sturdy and resistant to the effects of continued friction. If you imagine a mechanical watch that’s ticking all day, every day, on someone’s wrist, there’s an enormous amount of friction that all of these parts incur. 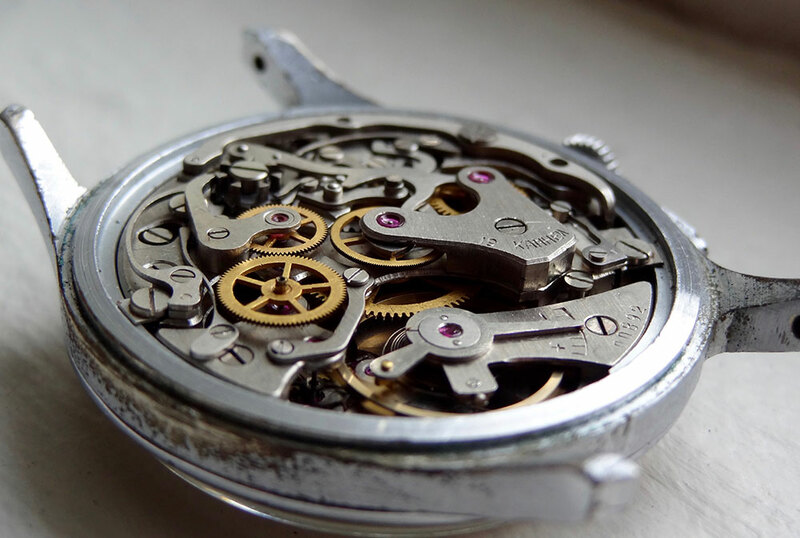 The classic ticking sound you hear in a mechanical watch represents various movements inside, and the vast majority of mechanical watches employ rubies so they can strike and pivot hundreds of thousands of times per day without wearing away. The intricate parts of a 19-jewel chronograph movement inside a Strela watch from 1959. It’s truly a beautiful thing to behold for those who haven’t seen it before. When you open the back of a mechanical watch, you’re met with this spectacle of shining metal and intricately crafted parts, these infinitesimally small screws, springs, and gears, and a moving balance wheel that’s oscillating back and forth—the beating heart, so to speak. It feels alive, a living mechanism crafted by human hands. It has a sense of vitality a quartz watch doesn’t even approach. Those were the two things that initially struck me, the movement of the second hand and then the detailed mechanics inside. But I had to know how this all worked—how do these teensy pieces keep and maintain time? So I started studying further, and that had a domino effect that led to where I am today. Collectors Weekly: What’s the functional difference between a mechanical watch and a battery-powered watch? Oatman-Stanford: Mechanical movements revolve around the principle of “escapement.” Of course, there’s a lot of fine tuning that goes into this to make sure the timekeeping is accurate, but essentially, a mechanical watch is harnessing the energy from a tight spring that’s slowly unwinding at a precisely controlled rate. A quartz watch keeps time in a very different way, driven by a battery and electronics. The battery sends a current through a quartz crystal, which oscillates very, very quickly—the majority vibrate at 32,768 times per second, if you can believe that—and a circuit essentially monitors those vibrations to generate regular electric pulses, one tick for a every second. If you look very closely under magnification, the quartz crystal resonator looks a bit like a tuning fork, or a U-shaped design. As the current passes through, that U shape vibrates at this reliable rate, making quartz movements very precise. A Chaika 3050, the first quartz movement ever produced in the Soviet Union. But they’re a relatively new invention. The very first one was made by Seiko in Japan and hit the market in 1969. The subsequent period is often called the quartz revolution or “Quartz Crisis” because the invention took the watchmaking industry by storm, an industry that was making these old mechanical pieces which, frankly, aren’t that accurate by comparison. As a mechanical watch unwinds, its balance spring oscillates back and forth. And it generally does so about five to ten times a second, or the more common way to reference it is per hour on the mechanical watches, so most vintage models are measured at 18,800 oscillations per hour of the balance wheel. Compare that to a quartz, which is 32,768 oscillations per second. It’s nuts. A mechanical watch may lose or gain several seconds every day. Generally, if it’s a well-tuned mechanical watch, you can probably reset it once a week or once a month. That would be the goal. But a quartz watch often doesn’t need to be reset for a few years. This 1960s Raketa pocket watch is powered by the thinnest three-handed watch movement ever produced in the USSR. On top of that, a mechanical watch is made from an assortment of parts that are almost always assembled by hand. Quartz watches, however, allowed for movements to be mass-produced with little to no human involvement: A machine can make a quartz watch, hundreds or thousands per hour. There are very few mechanical watches, to my knowledge, that can be machine-assembled. The parts and the case can be machined, but the ultimate task of putting it together to ensure that it ticks is accomplished by a human, which is very cool. I think that also drew me in, the fact that human hands touched all of these watches. But of course, that also drives up the cost tremendously. So almost overnight in the early ’70s, here you had these mass-produced watches with unprecedented accuracy, which were far cheaper than anything that had ever been produced before. Therefore, quartz watches quickly outpaced the production of mechanical watches and to this day continue to drown them out. There was a lot of fear that the entire mechanical watch industry would turn belly up just because there was no way to compete. All of the big brands—Rolex, Seiko, Patek Philippe, and so on—were forced to turn to quartz. As much as their heritage belonged in mechanical watches, they had no option but to offer quartz alternatives because that’s what the market was demanding. It was a scary time for mechanical watchmaking. Many people thought they would go the way of the dodo and be history, but they didn’t. They scraped by with the support of quartz counterparts. Today, you’ll find a huge resurgence of interest in these mechanical pieces for exactly the reasons I’ve outlined. People are fascinated by this old-school technology, and I think the interest is growing every day. 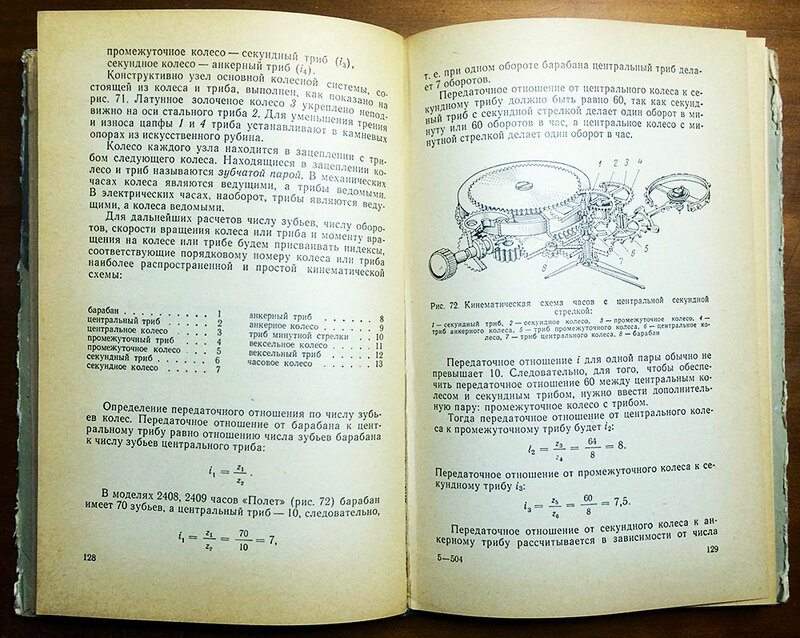 Pages of a Soviet mechanical watchmaking manual from 1970. Collectors Weekly: After getting your first Raketa, why did you continue to focus on Soviet watches? Oatman-Stanford: I’ve always been intrigued with the exotic, the unusual, the atypical, and the uncommon. It’s why I like visiting foreign countries or studying bizarre fields. Soviet watches embodied this niche area and interest. I don’t know that any of this crossed my mind at the time—I just liked them. But if I had to analyze why, I would say it was the exotic appeal. When you think of watches, everyone thinks of Switzerland, and for good reason: They are, to this day, the number-one producer of wristwatches in the world. No one thinks of Russia, much less the Soviet Union, so I was shocked and intrigued to learn about this thriving watchmaking culture along with the history of a country I knew virtually nothing about. 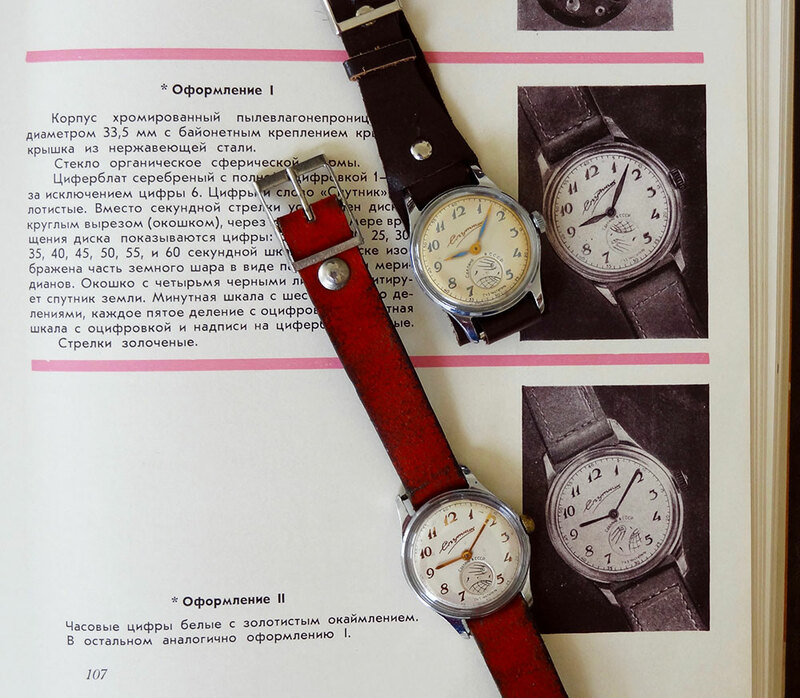 Collectors Weekly: What are the origins of the Soviet watch industry? Oatman-Stanford: The earliest Russian watches I’m aware of were made in the 1700s, and they’re Russian—not Soviet—because they predate the October Revolution of 1917 when the imperial government was overthrown. This was before Russia had a true watchmaking industry, and these watches are difficult to date because unlike some later pieces that have a date stamp, the earliest watches for the Russian market usually have no date information on them. These were produced in the Russian Empire when they had ruling tsars, and a pocket watch was a highly coveted and expensive commodity to have. Only the elite or upper classes could be able to source one of these, much less afford one, and they were all made from imported parts. A few mom-and-pop watchmaking shops sprang up in Russia, and they imported movements and parts from mostly Switzerland, which were assembled and sold on the Russian market. 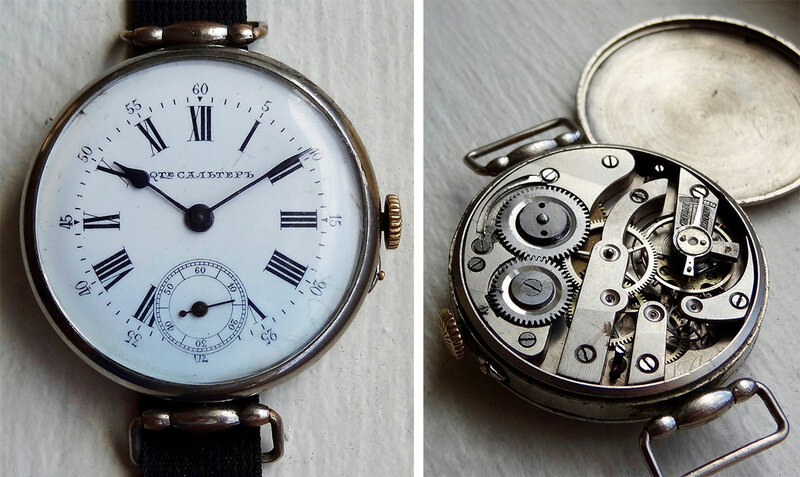 This Imperial Russian wristwatch branded “Qte Сальтерь” (meaning Qualité Salter) appears to be converted from a pocket-watch design, circa 1905. The movement was made by Swiss watchmaker Henry Moser, though the dial was labeled in Cyrillic for the Russian market. Generally, the only way to tell these watches from their Swiss counterparts is the Cyrillic writing that’s sometimes engraved or stamped into the case, which is the insignia for these small producers. Occasionally, the dials were in Cyrillic as well. A few of the Swiss producers from this era who helped bring the industry to Russia include Borel, Henry Moser, and Paul Buhre. These are Swiss-made pieces with a sort of Russian flair, let’s say. They’re not truly Russian watches. Collectors Weekly: How did the Soviet Union become a watchmaking powerhouse? Oatman-Stanford: In the early 20th century, pocket watches were in high demand and vital for many professions. You couldn’t run a railway or manage an army or keep track of a navy without a reliable and consistent timepiece. So demand was growing, and shortly after the Soviet government was established in 1922, its leadership decided the country needed its own watchmaking industry, since this technology was the way of the future. But the government knew they needed a leg up: They didn’t have the infrastructure many Western nations had. The Swiss were decades ahead, and Americans had a great head start with their watchmaking businesses. So the Soviet state decided to buy two defunct American brands—the Dueber-Hampden Watch Company and the Ansonia Clock Company. That sale was completed in 1930. At the time, Americans placed little value in these companies, which had gone bankrupt due to their reliance on older machinery. I think the debt-holders just saw an opportunity to get a dollar and took it. 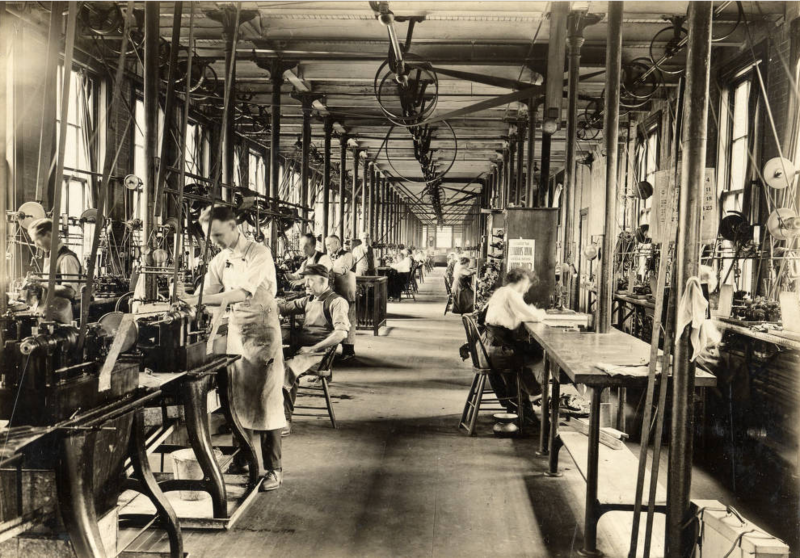 Employees at work in the Canton, Ohio, factory of the Dueber-Hampden Watch Company, circa 1900. Used by permission from the McKinley Presidential Library & Museum, Canton, Ohio. Three Soviets traveled to Canton, Ohio, where these two companies were based, to pack up all the manufacturing equipment, leftover watch movements, and pieces to ship back to Russia. Twenty-one former Dueber-Hampden employees from Ohio sailed with them to help set up this new facility in Russia, which was aptly named the First State Watch Factory. They began making 7- and 15-jewel pocket-watch movements made with parts from Ohio. The Soviets changed all the lettering to Cyrillic to signify their new ownership, and there were slight design modifications, all very minor. Starting around 1935, they began taking ownership a bit more, using different insignias that said “First State Watch Factory,” and as the years progressed, they began customizing their pocket watches to be a bit more Soviet-specific. When World War II began, the demand for watches was unprecedented, and the Soviets went into overdrive. By the end of the 1940s, the Soviets had nearly a dozen factories producing watches, though some had been relocated during the war. They were still using the same movement designs from Ohio, but putting them into new forms. These original so-called “Type-1” movements are still available today, and I have several dozen in my collection in various dial patterns. A wristwatch Type-1 variant was also produced, though a pocket-watch movement on your wrist makes for an enormous wristwatch, and it was very outdated with a noisy ticking sound. The old joke was that during the war, the Germans didn’t have to seek out any Soviets—all they had to do was listen for their ticking watches and shoot in that direction. The exterior and interior of a military-issue Type-1 wristwatch with 15 jewels made at the First State Watch Factory in 1940. The Type-1 started a long trend of Soviet watchmakers borrowing designs from other manufacturers. It’s easy to say they created their entire watch industry off stolen ideas, and certainly, there wasn’t respect for copyright the way there is nowadays. But when designs from the West would end up in the hands of the Soviet watchmakers, they would always tweak and improve their reliability or durability. As a state-mandated product, Soviet watches didn’t need to get into frivolous features like the artificial inflation of the jewel count. The Swiss would add unnecessary complications to their watches mostly for marketing reasons. The Soviets didn’t have any desire to do that, so their watches were utilitarian devices that accomplished the job very effectively, and I love that about them. 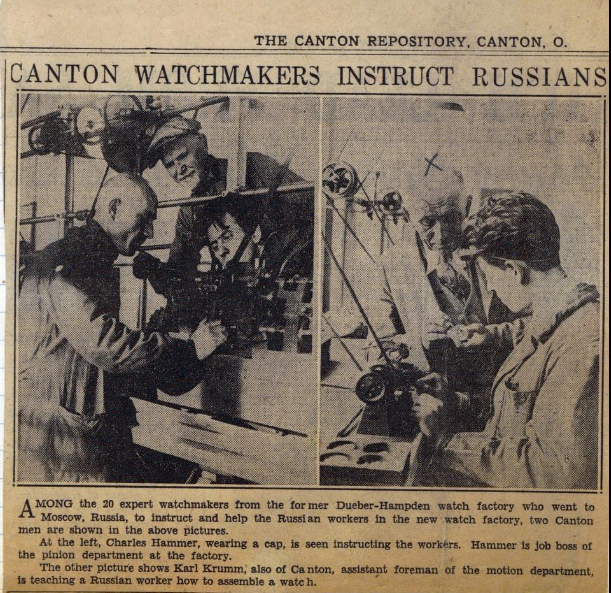 Newspaper coverage by the Canton Repository from 1930 of Ohioans training Soviet citizens in watchmaking. Collectors Weekly: When did the Soviet watch industry become an international success? Oatman-Stanford: The heyday of Soviet watchmaking was the 1950s and ‘60s, when their production was outpaced only by the Swiss. The Soviet Union was the number-two producer of watches in the world for more than a decade. They were enormously successful and powerful, largely driven by Cold War rivalry and a growing internal demand for these pieces. Obviously, during this era their military and space program was huge and highly competitive. When it comes to satellites, aircraft, and engineering, they were neck and neck with what America was doing at the time. And they also had a prominent photographic industry—many Soviet watch collectors are also lens and camera collectors. The catalyst was a brand introduced in the late 1940s: The story is that Joseph Stalin, the Soviet dictator, ordered the production of a watch called Pobeda, which means “victory.” It’s probably no big mystery why he chose that name, but that brand was used for some of the country’s earliest wristwatches and was extraordinarily successful throughout the ’50s. We’re talking hundreds of thousands of watches produced monthly during its peak. In the 1950s, these watches were mostly domestic products, but in the early 1960s, Soviet watches were slowly recognized by other nations. As tensions softened and international exchange became more possible, the export market became huge for the Soviets. The country’s biggest year for watch exporting was 1963. Many watch factories had been producing several discrete brands, but in the early ’60s most of these brands were consolidated under a few names. Raketa was one of these titles, which was made at the Petrodvorets Watch Factory in Saint Petersburg. Poljot, which means “flight,” was made at the First Moscow Watch Factory (previously the First State Watch Factory). Slava, which means “glory,” was from the Second Moscow Watch Factory. And Vostok, which means “East,” was originally from Chistopol. Vostok is easily the most popular Russian watch brand today. 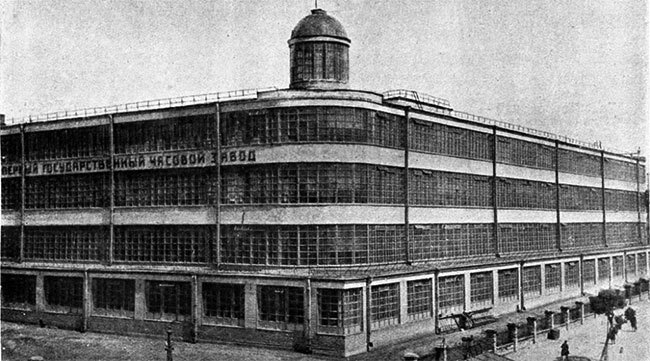 Moscow’s First State Watch Factory seen in the early 1930s. Image via pastvu.com. These four big names—Raketa, Poljot, Slava, and Vostok—were the consolidated titles for all of these disparate watch types. In this consolidation effort, I think there was an eye toward exporting, because these names lent themselves well to English-speaking markets. They were sold all throughout Europe, with particular prominence in the United Kingdom, as well as all over the Americas and Asia. 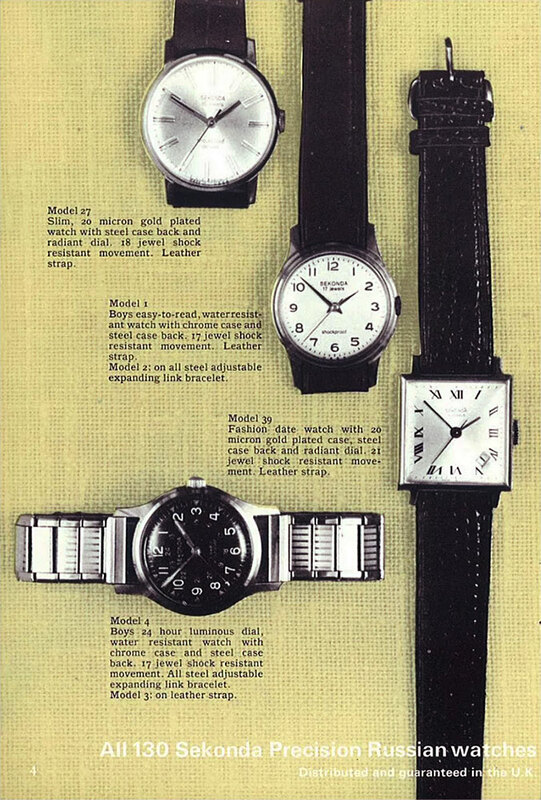 A page from a 1968 Sekonda catalog. Rumor has it that within the USSR, Soviet citizens also favored the export watches. To my eye, they’re identical. By and large, they were just duplicate models, with different writing on the dials. But native Russians preferred the export watches, or so I’ve heard, possibly thinking they were somehow superior or better designed—that the watches the state was producing for Soviet citizens was not as high quality as those for the rest of the world. The story I’ve heard is that people were sneaking export models out of the factory to sell or use themselves. The U.K. was a tremendous market for Russian watches, usually sold under the brand Sekonda. This was a British company that sourced watches from the USSR, branded them as their own, boxed them up, and then sold them to the local markets. The success of Sekonda is a testament to the great quality and affordability of Soviet watches at the time. The 1950s and ’60s were also the decades when Soviet watches were at their highest quality. Soviet watchmakers utilized unique hair-spring designs, shock protection on the jewels, beautifully polished movements with decorations. Such details were only found at the upper end of Swiss watches, whereas they were standard in the Soviet Union. Soviet watches were highly egalitarian in their design and function; these were watches for the people. Collectors Weekly: Was the Soviet watch industry innovative? Oatman-Stanford: On the one hand, I would say yes, extremely. Soviets were doing things other watchmaking industries only dreamed of. But on the other hand, I would say no, because their industry was built on homages to existing designs. They borrowed ideas from others, though they did improve on them. 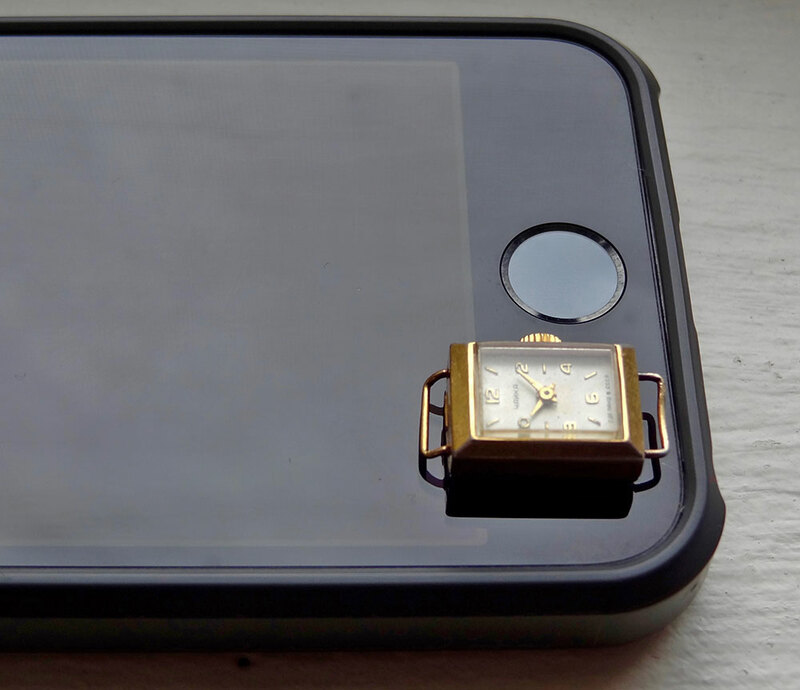 At just 12mm across, the Chaika 1200 is the smallest watch ever produced by the Soviet Union (seen here on an iPhone for comparison). Collectors Weekly: How has your interest in these watches expanded your knowledge of the Soviet Union? Oatman-Stanford: Watches are a reflection of the history, the culture, and the people. I now have a strong sense of Soviet history from the very beginning because watchmaking mirrored this, from the October Revolution until the downfall in the early 1990s. There are some direct ties between the two with the personalized inscriptions. If you turn over many pieces in my collection, you’ll find these beautiful Cyrillic engravings, sometimes with pictures of an olive branch or another decorative design. Some staunch collectors actively reject these engraved pieces as somehow mutilated. They’re not pure, but I love them. Even though the inscriptions are entirely mundane, I would gladly pay more for an engraved piece. We have a running thread on a watch forum I visit that’s entitled, “Please decipher this Cyrillic engraving.” And many people eagerly post their photos, anxiously awaiting some mysterious revelation about their piece—myself included—only to find that it says, “To my grandson on this 17th birthday, 1979,” or some other very humdrum inscription. I do have one military piece with an inscription. It’s on a 300-meter diver, which means it was water-protected to depths of 300 meters. It’s incredibly difficult to manufacture a watch that can withstand such pressure without water intrusion. These were initially given only to divers in the Soviet navy, so the watch I have is inscribed to a diver in northern Russia, within Siberia. But even that inscription is fairly basic. Collectors Weekly: What are some of the most unique watches made in the USSR? Oatman-Stanford: The early diver watches called Amphibias are pretty unique. Divers were made by Swiss manufacturers and others, but the Soviets tried to develop their own from the ground up, and had a very difficult time. The case material has to be steel, rather than chromed brass, with an incredibly secure case back to prevent water from entering. Divers also require a special extra-thick crystal that can withstand great pressure. The Soviets struggled to develop the lugs, the small brackets into which a strap fits, on these steel watch cases. They created a steel case on the watch itself, but these small protrusions were a more intricate design element and a large challenge for the Soviets. So they employed a unique solution, which was basically a clip-on lug that fastens to the main body of the case. The whole watch looks like a porthole to a submarine or maybe the helmet of an old diving suit. A profile view of the Vostok Amphibia 300m watch showing the extra-thick crystal. The space watches are also coveted by collectors. These are watches such as the Strela, which means “arrow,” one of the early chronographs that was worn on a number of space missions. Yuri Gagarin, the first man in space flight, was known to have worn a Sturmanskie, a style only issued to pilots upon graduation from the Soviet flight academy; they weren’t available to the general public. There’s also a whole range of Sputnik-themed watches that have playful elements on their dials, either Sputnik orbiting around the Earth or passing through the stars. 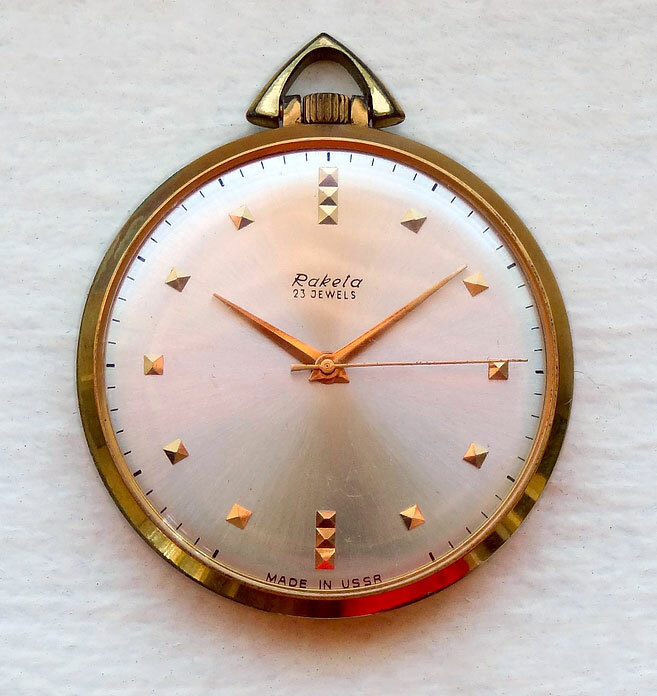 Another interesting piece is the Poljot 2200 from the First Moscow Watch Factory. It features the thinnest Soviet movement ever produced; to this day, it’s one of the thinnest movements ever created. The bridges holding the movement together were so thin they had a propensity to actually deform with normal use on the wrist, which would, of course, impact the function of the movement. The Soviets were always racing to make the strongest, the thinnest, the smallest, or any specific attribute. There’s a movement called the Chaika 1200 (the name means “seagull”). That caliber is the smallest watch ever produced by the Soviet Union at just 12mm across. It’s truly tiny. I wrote an entire article on Soviet Braille watches because it was astonishing to me that in a regime like the Soviet Union they would give so much attention to a marginalized population. There are actually Braille watches with Type-1 movements—those that were inherited from the Hampton Watch Factory in Ohio—going back to the ’40s. Left: An early Braille watch made at the Zlatoust Watch Factory, circa 1954. Right: A Braille Raketa made in the 1970s featuring a retractable crystal. These weren’t just regular watches with some Braille bumps on the dial; the entire watch was designed to cater to those with limited eyesight. A new movement was employed that only powered the hour and minute hands. They don’t have a second hand because it’s not essential for telling time and it’s too delicate. The cases were redesigned so you’d have access to the dial with a hinged bezel design to expose the dial so your fingers can be placed directly on the dial to tell the time. The dial itself was made of plastic that could be raised with Braille dots, but there was also printing for sighted individuals. The printed marks on traditional dials are incredibly fragile, so the printing on this dial was designed not to wear away with repeated touch. But the industry wasn’t entirely egalitarian: They also made solid-gold watches, probably for military dignitaries or high-ranking officials, and in no small numbers. It wasn’t quite the vision of a classless Communist society that some might want you to believe. Left, this watch made at Chistopol in the late 1950s features a rotating Sputnik cutout to count the seconds. Right, another space watch from the same era with a painted globe dial and rocket-shaped hour markings. Collectors Weekly: What happened to the industry after 1991? Oatman-Stanford: The quality of Soviet watch production was falling throughout the 1980s, and even in the late ’70s. By inspecting details of the movements and decorations, as well as the fit and finish, you can see the decline in quality throughout the final period of the USSR and after. You get the sense that during these years, watchmakers just used whatever materials they had. Normally, the way to verify authenticity is through the catalog images or original records, but by the ’90s, all of that kind of went out the window. You can tell that things were becoming disorganized and underfunded, because the watches produced don’t always align with those reflected in the catalogs. The lettering along the bottom of the dials was classically “Made in USSR,” written in Cyrillic, but by 1991, this had disappeared. One would expect “Made in Russia” to replace it, but for several years, there was no place of origin written at all; they’re just blank. By then, most Soviets didn’t know what was going to become of their country, and their watches reflected that. 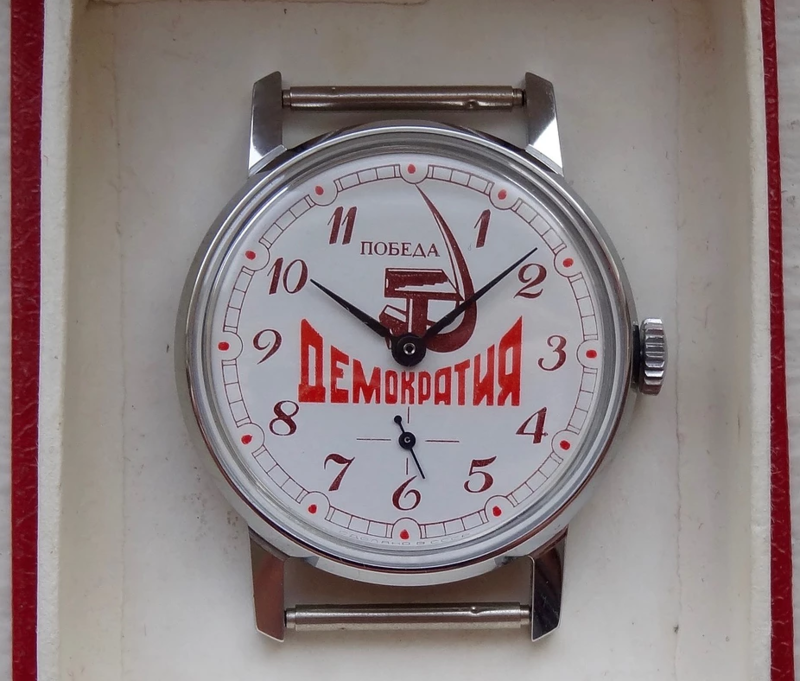 As the USSR’s economy weakened, more watches were made with kitschy nationalist imagery, like this Pobeda from the 1980s featuring the word “Democracy” below a hammer and sickle. Dashiell a great collector. With this no one would argue. I am sure that his collection SU watches – one of the biggest in the United States. I think in the next few years, he filled up even more, because he had a friend who has the most (!) biggest collection of watches in Europe. And one of the largest collections in the world, with more than 2500+ watches. And this is only the Soviet Union watch. Fantastic article. I had no idea there were so many interesting watches out there; the Sputnik themed ones are particularly intriguing (I’ve got a thing for old SF and space-themed paraphernalia). Great article Hunter, and lovely photographs. What became of the 20 folks who travelled from Ohio to Russia with the equipment and inventory? Did they stay only long enough to establish the plant in Russia, or did they make Russia their long-term home? 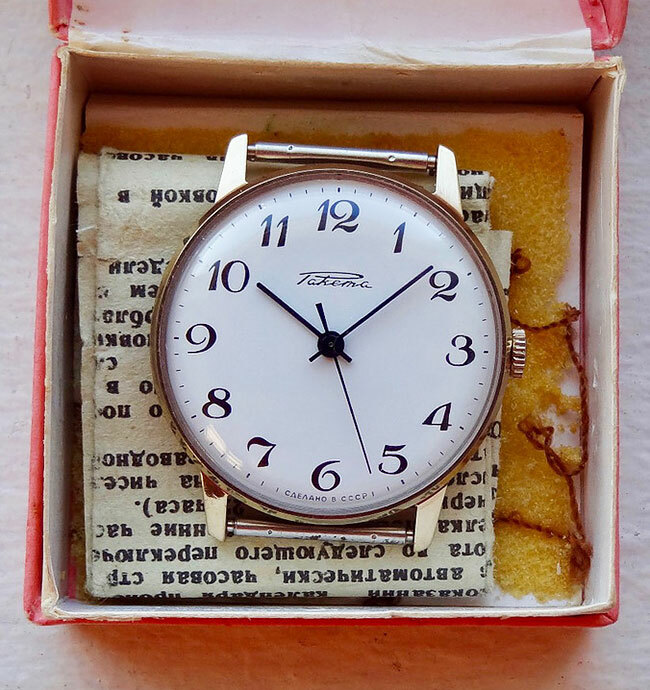 Hi Rebecca: According to Alan Garratt, who has done extensive research on the birth of Soviet watchmaking, the Americans contracted to help setup the watchmaking facility in Russia all returned to the U.S. at the end of the year when their contracts were up. But they were paid and treated very well while living in Moscow. More here: http://birthofsovietwatchmaking.blogspot.com/ Thanks for reading! Wonderful article, really enjoued reading it.. thanks. I almost met Dashiell, when he lived in Denver, but he moved prior to our meet up. I have gone back to his site and browsed and admired his huge collection. Great article, and the history is particularly interesting. I have a Russian made “Orion” mechanical watch. Bought it off of Ebay a number of years ago. It is the quietest,smoothest watch I’ve ever owned. Excellent article, Russian watches often surprise me. A big thank you for this fantastic article! Luxury or classic watches are geared for older consumers while smart watches seem to be geared towards younger ones. A smart watch may even open up the world of luxury watches to a younger consumer down the line. OUTSTANDING article! Being a small time Soviet watch collector(I have 15) it was great to learn more of the history behind these really neat timepieces. They look good and keep good time. Great Article! i have a modest collection of modern, vintage and antique time pieces. Within it is a Soviet made Zarja Zaria 1960’s 21 jewel manual wind. Thanks for the article! OUTSTANDING article! I am a diving mechanical watches collector since a long time (40 years!) and thanks to Dashiell’s comments. This article definitely influenced my choices and did with the NVcH Vostok diving watch my favourite one in my own collection (including Panerai, Rolex, etc…). Russian watches combine qualities of simple, accurate and strong watches. Outstanding article. Learned more about SU manufacturing that I never read. Ohio’s loss of two time makers, SU’s gain. “ ” You'd have to talk to maybe 500 kids on the street until you found one that likes antiques, the rusty stuff, the dusty, dirty stuff.